Managing Director of Ontario Oil and Gas Limited, Walter Wagbatsoma, has been extradited to the United Kingdom where he is facing money laundering charges. 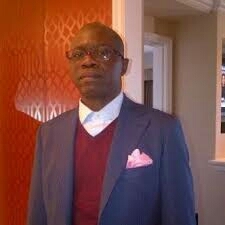 According to a UK-based newspaper, Lincolnshire Echo, Wagbatsoma who was extradited from Germany, was accused of money laundering in a multi-million pound fraud. He appeared before Lincoln Magistrates’ Court on Friday. The oil magnate was detained last month in Germany after Lincolnshire Police issued a European Arrest Warrant. The 46-year-old was extradited to the UK on Thursday, when he was charged with conspiracy to money laundering. Back home in Nigeria, Wagbatsoma along with others is facing a nine-count charge bordering on fraud involving N1.9bn oil subsidy scam. The Economic Crime Unit of Lincolnshire Police said it had been conducting a major investigation with the National Health Service involving offences of fraud and money laundering in excess of £12m. According to statement obtained by our correspondent on the official website of the Lincolnshire security agency, the investigation against Wagbatsoma commenced in September 2011 following a report of fraud involving Lincolnshire Partnership NHS Foundation Trust. “Since such time the investigation has linked 20 other offences where the victims include other NHS Trusts, the States of Guernsey Government and other public bodies. In September 2015, as a result of this investigation, 15 suspects were charged with offences of conspiracy to defraud, money laundering and conspiracy to money launder and all have since been indicted to stand trial. “On Monday, June 6, 2016, a further suspect was detained in Germany following the issue of a European Arrest Warrant by Lincolnshire Police,” the statement said. Meanwhile, Wagbatsoma has been remanded in custody and is expected to appear before Lincoln Crown Court in August.